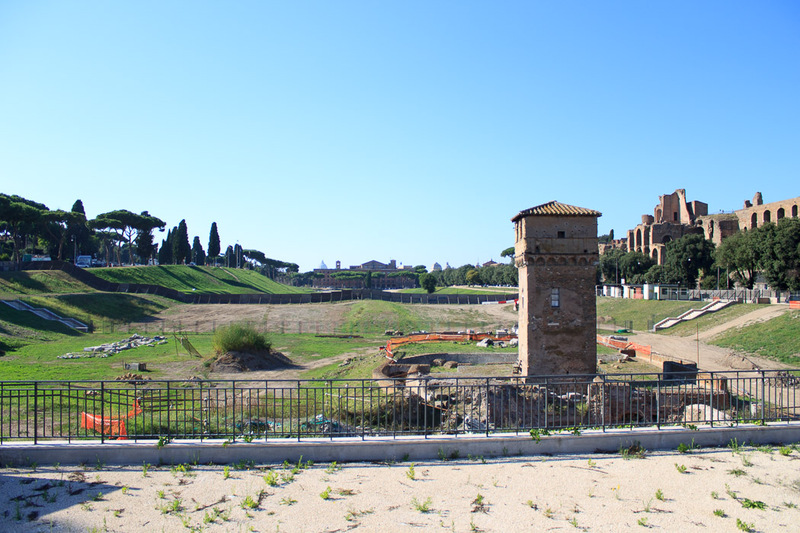 The Frangipane Tower, or Torre della Moletta (Tower of the Little Mill) is at the eastern end of the Circus Maximus. It is named after the powerful medieval Fragipane family who owned the tower, and after the water mill that existed here in the Middle Ages. The tower formed part of the system of fortifications for the Fragipane family. That family had other fortresses built on the base of ancient arches and monuments, and occupied the Colosseum for a while. 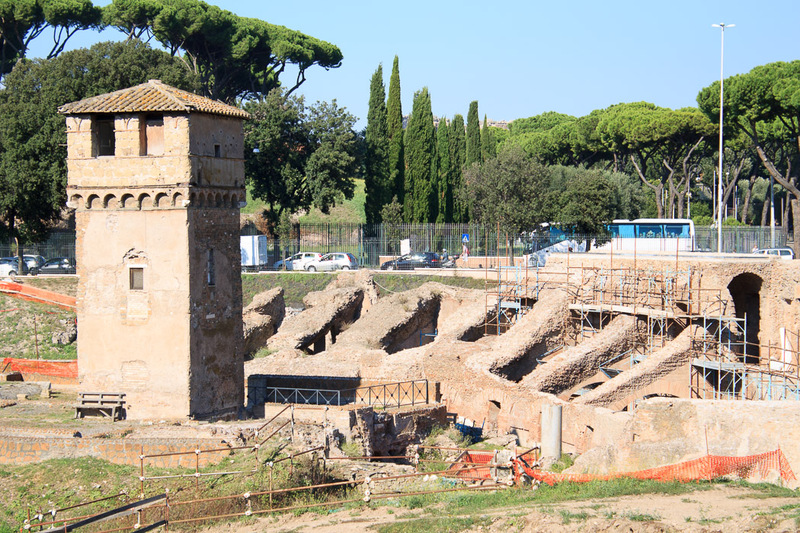 Since the family owned other towers, be sure to not confuse this with the Fragipane tower named the Torre di Scimmia (Monkey Tower) on the other side of the Capitoline Hill about 300 meters north of the Theatre of Marcellus, which was also in the Fragipani hands for a while. See all Frangipane Tower photos. By the way, I think that somewhere in the excavations in the 2nd photo above are the remains of a second Arch of Titus, announced in this article.